I was super excited when I received a tweet from Small Budget Beauty! 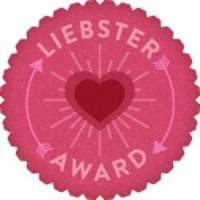 It's not enough that she is a more experienced blogger, but she nominated me for the Liebster Blog Award! I was definitely not expecting to receive a nomination so early, so that made me...speechless. Tag 11 other blogs with less than 200 followers & let them know they've been nominated...no tag backs! 1. I love the color violet: not purple, not blue. Just Violet. 2. I was a spelling bee alternate in the sixth grade. 3. I love to color! 5. I have a crush on the lead singer of Nickleback. 8. I want to travel to Ireland someday. 1. What is your favorite item from your makeup collection? 3. Name one makeup item that you would really like to receive as a gift. 4. Do you wear makeup every time you leave your house? 5. Name your favorite reality TV show. 6. Do you use more neutral or bright colored makeup? 7. What is your favorite color to wear on your nails? I love writing and beauty, so i combined the two. I also thought it would take less time than making a youtube video and itakes about 10 minutes less. Flats, can't wak in high heels. 10. Name one of your guilty pleasures. 1. What would your dream job be? If you are already in it, then what would your dream house be like? 2. What's your favorite eyeliner style? cat eye, in the lash line, etc..
3. What shade of lipstick makes you feel most confident? 4. What was your favorite board game to play when you were a kid? 5. What's your favorite drink at a coffee shop? 6. Were you a tomboy or girly-girl growing up? 7. What's your favorite fall accessory? 8. Do you like, math or english better? 9. Do you like using new technology? 10. What kind of makeup do you have most of lip or eye products? 11. Favorite Perfume of the moment?